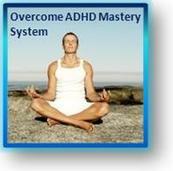 Above are the results for the overcome ADHD Mastery system for adults. 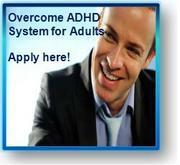 I want to speak them and I am inviting you to just take a moment to visualize what overcoming Adult ADHD can do for your life. Visualize your life a new where there are no racing thoughts, where you have mastery over your focus, more concentration, and balanced emotions. Visualize you having double or triple your productivity. No more the feeling of being driven by motor as you run the show. Envision having mastery over your creativity and channeling it into what you want and dream of. You have a feeling of ease with all the things that are happening around. You are not at all overwhelmed or overstimulated. Just peaceful, calm, centered, and sense of stillness inside of you. Visualize having Shaolin monk like self-discipline and nothing can stop you from doing what you want to do because you are disciplined and trained. You are the Master of your mind! Negative self talk doesn't happen as you will be able to turn your hyper focused on and off like a switch. You will uncover gifts that you can use to help you unlock your greatness, and will no more fear failure. Visualize succeeding beyond imagination at work or school and doing exceptionally well financially and developing your ideal career business. Doubling and even tripling your income. Having great relationships and feeling great about yourself. Your self-confident, self assured, and relaxed in your composure. 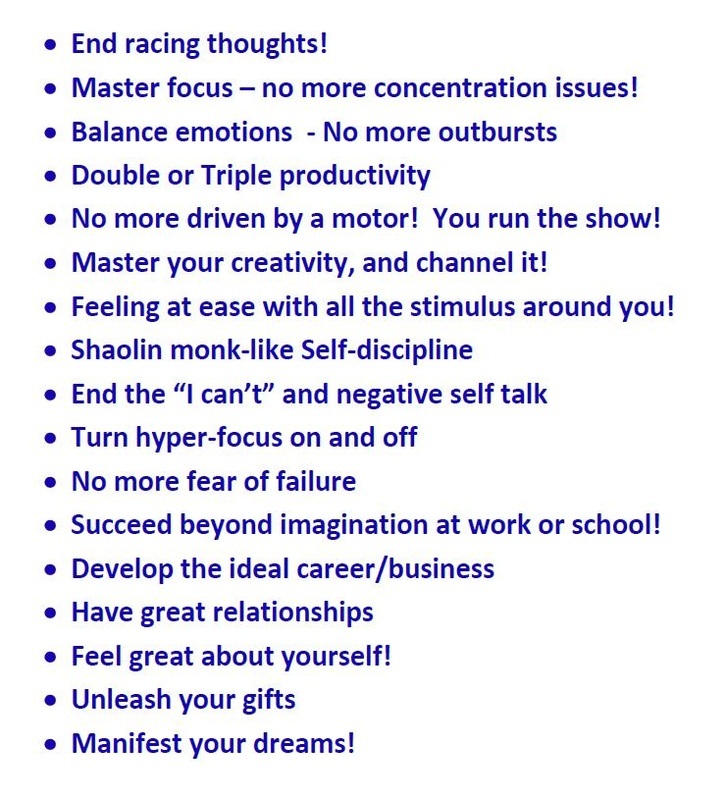 You are unleashing your gifts, living your ideal life, and my favorite manifesting your dreams! These are the results of the program that I have seen in clients that I've worked with throughout the years and that I've seen in my own life. 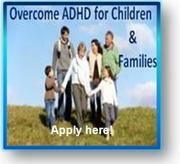 That's why I know this works, because I've seen in my own life and others what overcoming Adult ADHD can do for you and your future as you move forward in your life.